My name is Mark and I have been given the opportunity to take part in the UCD Volunteers Overseas year long Education and Development Programme. This summer I'll be volunteering in Ruaha, Tanzania for 4 weeks to teach English and computer skills to staff and students of the project school in addition to organising summer camps, refurbishing classrooms and supplying new books. To do this I need to raise €2, 600.UCDVO is in partnership with TanzEd, a Tanzanian NGO, along with Camara Education, which works to provide computer labs in Tanzanian schools. The training the school teachers receive enables them in turn to pass on these skills to thousands of pupils.The UCDVO Programme began in Tanzania in 2009 and has since provided invaluable service to empower both its teachers and pupils, with 36 schools having taken part. 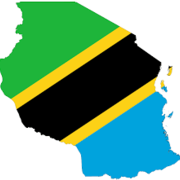 So far over 700 computers have been donated from Ireland to Tanzania, with approximately 780 teachers having received training. Volunteers have also participated in school refurbishment and library development projects, in addition to English classes taught to both teachers and children of the schools.My fundraising target of €2,600 can be broken down into €1, 400 fo volunteer participation costs (flights, visas, insurance, training, accomodation, local transport) and €1, 200 for the costs of the project (construction of schools, houses, educational resources, etc.). This is achieved through a combination of the volunteer's personal finances, sponsorship and fundraising events.Anything you can donate, big or small, will be very much appreciated!Thank you for taking the time to read my fundraising page.